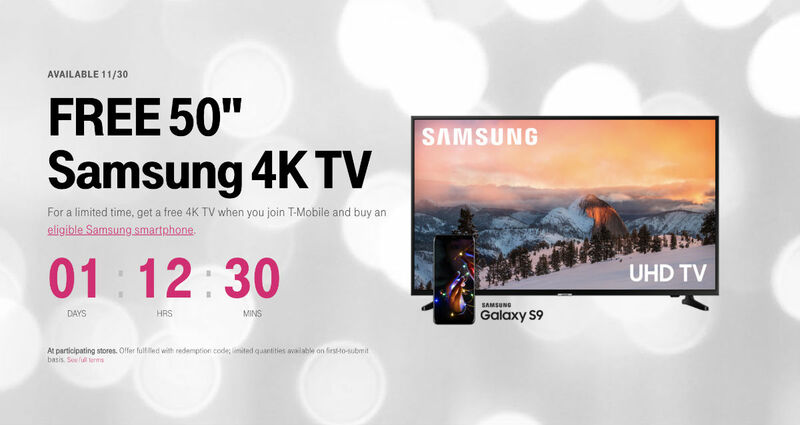 T-Mobile is offering a free 50″ 4K Smart TV when you purchase a new Samsung Galaxy device on an EIP plan and add second voice service line to your existing plan. If you were already looking to pick up a new Galaxy S9 or Galaxy Note 9, a free TV isn’t a bad gift this holiday season. Naturally, supplies will be limited and T-Mobile details that this exact promotion will kick off on Friday, November 30. Also note, you will need to go in-store to claim this free TV, and once done, it will be shipped to your house. Follow the below link for more details.